"My moment actually included a dramatic “eureka” epiphany...I knew then, it’s my time to hang up the spreadsheets and join the entrepreneurial fray." I was born with, what seems to be, a genetic entrepreneurial drive. My parents and siblings are very creative people that have always sought to do their own thing. Born and raised in Israel I served as Tank Platoon Commander in the IDF before studying History and Political Science at Tel Aviv University. I enjoyed my studies immensely and the critical thinking I learned contributes to everything I do. However, after getting engaged I had to go seek a “real profession”, so I started studying for a MBA at the Hebrew University in Jerusalem. While I studied for my MBA I focused mostly on investment banking and finance. After graduation I moved to the U.S. to be a CFO (hence the “Cash Is Tight” nickname) for a publicly traded Aerospace Defense company. Then for a Napa Valley-based ultra luxury wine retailer, Soutirage. Although I was always into wine I only got into the gist of it as a business while working and living in Napa, California. I saw a bustling industry that has many opportunities. My Entrepreneurial moment actually included a dramatic “eureka” epiphany. 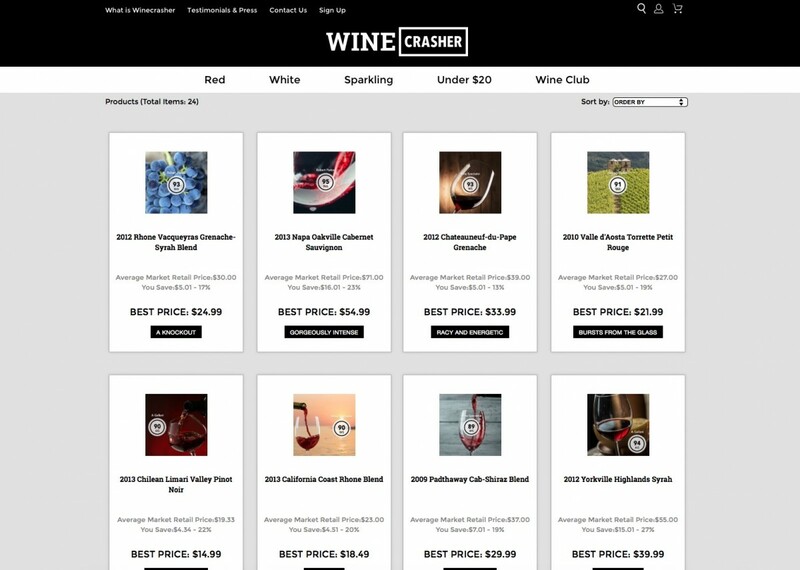 One evening, while on vacation, I had a sudden confusion where thoughts started to mingle and connect about selling wine in a similar way to Hotwire.com (which no-one else in the U.S. is doing). I knew then it was my time to hang up the spreadsheets and join the entrepreneurial fray. Our concept is pretty radical for wine industry people who tend to obsess over winery names and labels but I did win over a great colleague, Nancy O’Connell, who also worked at Soutirage. Together we founded Winecrasher. Getting financed was more challenging and required a lot of sacrifice from everyone but we managed to pull through our Friends and Family round to develop our MVP. And here we are! Winecrasher is about getting the best value possible in wine – Verifiable quality at guaranteed best prices. A win-win for consumers and wineries. We’re applying the same concept used by Hotwire.com and Priceline.com to sell rated wines at guaranteed best prices. We provide customers with all the information about a certain wine (region, varietal, score) but we only reveal the name of the winery after the purchase is complete. This is what allows us to offer the best prices on every wine we sell, because the discounts are discrete and don’t impact the winery brands. Not only do we offer highly rated wines at the best price: we also offer a unique experience. We would like to think of ourselves not just as a wine retailer, but also as a wine adventure guide. Our concept and site can introduce people to regions and varietals they aren’t used to. We can be a gateway for people to enjoy and discover great wines knowing they’re always getting a great deal. The wine retail space in the U.S. is highly fragmented without any big players. Wine is also the most diverse product in the world. Our concept bridges the selection difficulties (too many wine brands people don’t know) and provides best value. 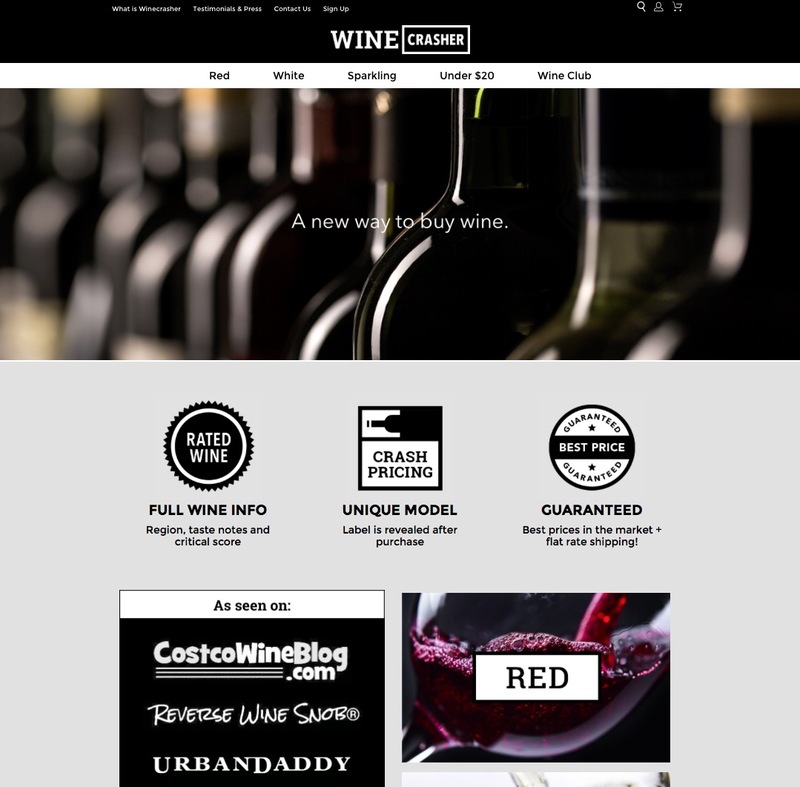 Our goal is to become the leading U.S. Online Wine Retailer. In order to do this we really need to get our story out to as many wine drinkers as possible while perpetually improving our product – user-experience, wine selection and service. 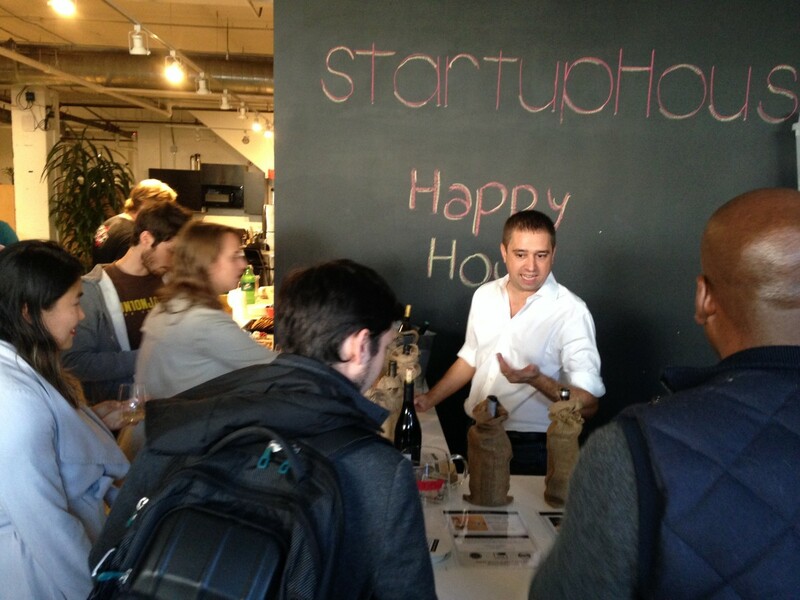 Wine is a product that’s about fun and happiness and so doing a startup in a space like the wine is a lot of fun. It’s probably more fun than many other industries. The best part of the day-to-day is getting great feedback from customers. It allows you to feel that your efforts have been worthwhile and that people are “getting it”. Most of the frustration comes from witnessing the difference between what we thought would happen with certain marketing channels or features and what actually did happen…the amount of time and effort you sometimes spend to develop something that no one wanted. Waiting is also frustrating. We waited a very long time to get our wine license in place and launch our MVP. The last delay we had caused me to hum the Pixies’: “where is my mind” song for weeks until we finally launched. Running a startup gets into your mind and time perception. Everything is about getting to the next step as fast as possible and your mind is always already there. You have to be able to step out of it every now and then and try to live in the “now”. I do this sometimes by creating a “no startup weekend” or “no startup evening”. On those occasions I close my laptop and phone and try to act like a person who has a day job and he’s off work or on a weekend. When I manage to get into it, my mind slows and it allows me to focus on my family and enjoyment of the things I’m doing at that moment. I would recommend it to anyone who’s gotten totally involved in work or on a project. Just take mental and physical time-outs, even for just a couple of hours. Seriously – I think I’d love to be able to go back to University and take a few classes in History, maybe do an MA degree in that. For our startup business: “creating value”. Value for our customers, our suppliers, our investors and ourselves. For me personally: “Win-win” – the foundation of commerce. At some point, there is going to be a time when Win-Win turns into Win-Lose and it might be the time a startup realizes that they have something to offer if they make it through that time. It is real nice for friends and family to put their money up for things like this. Do you think a company is better or worse off with family funding a startup? The wine business is huge and sees money from some of the biggest pockets in the world. If you can get a piece of that pie in any way, that is a good goal to have. Nothing wrong with putting a little disruption into one of the largest markets in the world! Being the “big player” where there isn’t any is going to be a tough goal to meet. Good luck! Very nice interview. The wine business is booming just as fast as the craft beer business. If you can get a better price for quality, why not try it out?